Blackjack is a game of skill for sure and that is the exact truth that any player, who is patient and clever enough to understand, learn and apply in practice some blackjack strategies, are more likely to get superior results in blackjack. The brightest example of this statement's is presented by members of MIT Blackjack Team, who managed to win billions of dollars during several years in different casinos all over the world due to their playing skills perfection. Therefore, the best advice for blackjack players, which really want to learn how to win in blackjack, is to master all the rules and playing tips concerning the game, and, moreover, read different blackjack articles that would keep them informed about all the pitfalls and tricks of the game. There are a lot of such blackjack articles and literature in whole dedicated to various aspects of the game, so let us describe some of the most useful pieces in order to ease your choice. The book was written in 1992 by one of the members of MIT Blackjack Team and describes blackjack strategies that these clever guys used. It becomes evidently that they work if consider the fact that MIT Blackjack Team had earned about $4 000 000 during several years. Though some of the techniques mentioned in the book could seem a little bit out of date, but they are still applicable and their understanding is crucial for your future progress. The book is written in 1966 and is really considered a legend among professional players. It contains priceless information about various counting systems and their features. In 1999 Peter Griffin, a famous and successful blackjack player, published a great blackjack book, which contains easy and understandable explanations of different strategies background, odds calculations, and various types of blackjack descriptions. The whole book is written in rather academic style and worth reading if you really want to go deeply in blackjack theory. The book is dated by 1994 and is considered as one of the most classic and useful blackjack literature. Stanford Wong explains different counting systems, blackjack variations, their rules, advantages and disadvantages. It is commonly stated that it contains the best in-depth analysis of Hi-Lo counting strategy. The book is regarded as one of the most recent successful creation written by Arnold Snyder in 2005. 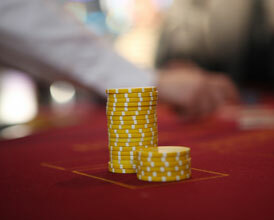 It is aimed mainly to teach gamblers to play in such way they could earn real money in blackjack. It describes different playing strategies, useful tips and effective tricks, which could be easily applied in practice and bear fruit. The book is dedicated mostly for advanced and experienced players who have already mastered basic strategy ideally and are familiar with card counting. It explains some useful pieces of statistics that lies behind counting systems in order players could perceive them better.